A clean environment in which to unwind with friends. There is, however something missing which caters for the creatively inclined amongst us:- art paraphernalia and artistic opportunities. Thankfully, there is a new independent art and coffee shop open in Ribbleton Lane which appeals to the above statement. UCLAN Graduate and artist Suzi Topp runs ‘Gallery D52’. The shop is home to a selection of contemporary fine art from local artists in both original and print form.Nine artists are currently exhibiting, and more wall and floor space is available to rent. Regular artist groups, workshops and community events will all be part of the shop’s offering. A weekly group gives artists a chance to come together, discuss ideas and eat cake. Late December last year saw a well-attended Rhythm Jam session in which community members tried out a host of percussion instruments for a suggested donation of £5 or leftover Christmas chocolates and crackers. Fresh Italian coffee and a selection of teas. Food is available to eat in or takeaway, and orders can be phoned through for collection. 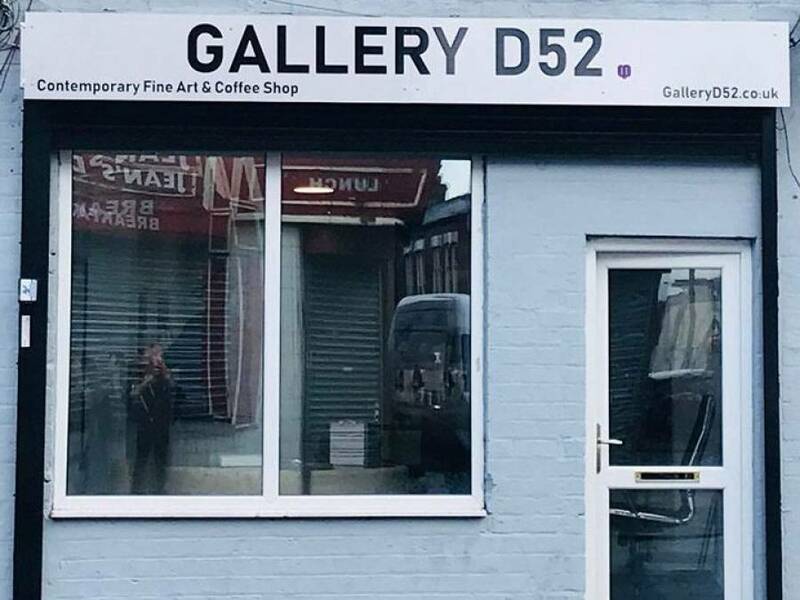 Gallery D52 is at 234 Ribbleton Lane, and is open Tuesday to Saturday between 9.30am and 4.30pm. Follow Gallery D52 on Facebook to find out more.